Welcome to your beautiful island paradise where soothing sea breezes, brilliant sunsets and genuine Thai hospitality await. 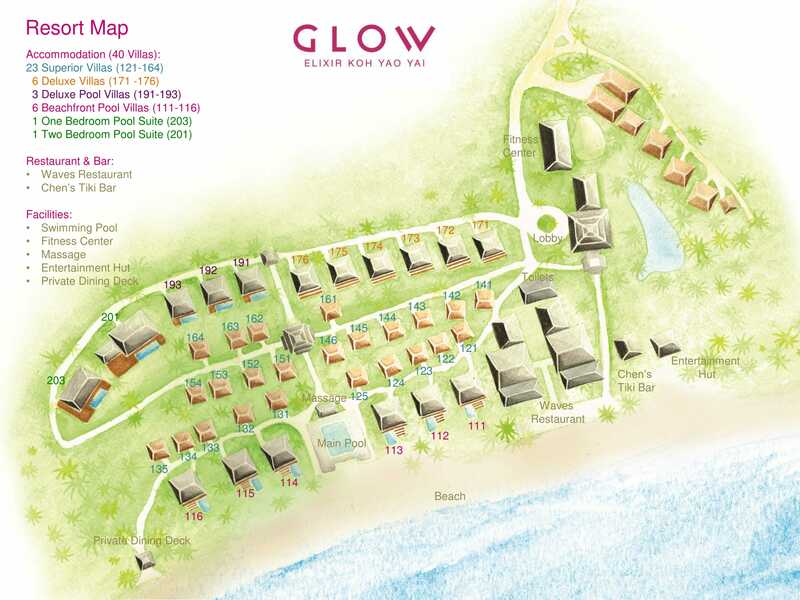 GLOW Elixir Koh Yao Yai floats like a hidden gem in the sparkling Andaman Sea in Phang Nga province, a place where you can unwind your mind, refresh your soul and reconnect with family and friends. A lush tropical garden and 300 meters of private beachfront play host to 40 charming tropical villas and pool villas—with relaxed nature at the heart of it all. Check the resort map for location of the villas.